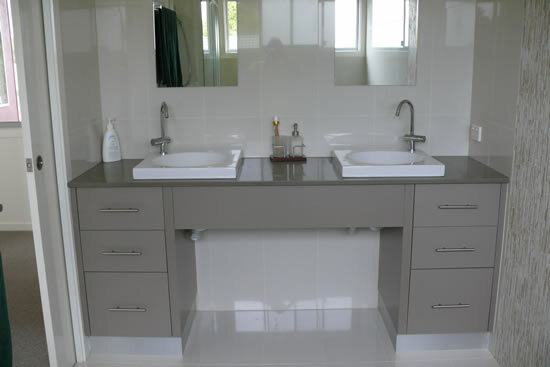 Albany Cabinet Makers offer an extensive range of doors and panels to create your own personal design to suit your need, life style, taste and budget. Melamine doors and panels are available in a large range of colours, textures and finishes to suit your style of kitchen, vanity, laundry etc. This product is an economical and durable choice for the budget conscious. Doors and panels come in a matching laminate edge or with a PVC edging. The PVC edging provides a stronger and more durable edge that can withstand impact from general usage. Other edgings that you may want to consider is aluminium or a rolled edge door. The Vinyl Wrap doors and panel are available in a wide selection of colours, styles and textures. The style of doors or panels can be plain or moulded and the texture of the doors and panels come in a matt or gloss finish to suit the design of a modern or traditional kitchen or vanity. The 2Pac painted doors and panels are available in any colour. The colour can be matched to suit your taste and style. This is a very modern and popular choice. The doors and panel are either left plain or moulded to suit a modern contemporary look. The doors and panel are finished in a high quality Satin or Matt or Gloss finish. We offer a range of Solid Timber doors and panels including Tasmanian Oak, Tasmanian Blackwood, American Oak, Jarrah and many more for a classical natural timber kitchen or vanity. Solid Timber kitchens create a warm and inviting feel and are suited for a contemporary or country style. 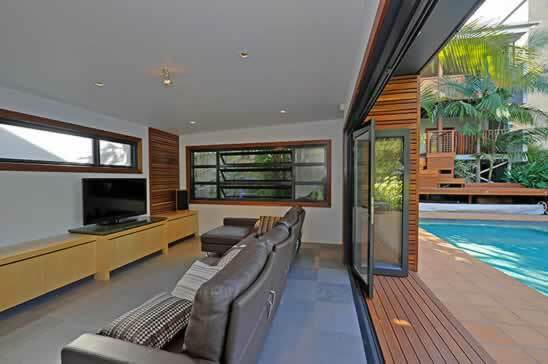 Timber veneer is an alternative to solid timber. Timber veneer has a clean and natural finish and comes in a variety of timber species. All timber products are coated in a clear lacquer finish either matt or gloss. Aluminium Framed Glass Doors are often used to create highlights or display features in a kitchen or vanity. This introduces a European touch to your kitchen or vanity. Frames are in a natural matt or brushed aluminium finish with a slimline or wide flat or curved profile. Glass inserts are toughened glass in a clear, frosted or painted glass. Glass Doors framed in either material that matches the other doors or in a contrasting material is often used to break up a row of solid doors features. Often the glass insert is either a clear, frosted or lead light glass. This creates style, character and design to any kitchen or vanity.